With the nation celebrating the Law Day last year, Supreme Court witnessed the setting up of Supreme Court Gender Sensitization and Internal Complaints Committee, formed by the Chief Justice, P Sathasivam. It was a ten member panel headed by sitting Justice Ranjana Prakash Desai, with a majority of women. This committee (GSICC) was constituted vide order dated 26/11/2013, under the Gender Sensitization and Sexual Harassment of Women at the Supreme Court of Indi a (Prevent ion, Prohibition and Redressal) Regulations , 2013.In the aftermath of complaints of sexual allegations being leveled against retired Justice Ashok Ganguly and Justice Swatantra Kumar, the ugliness in the Courts’ precincts doesn’t seem to end. The committee for sexual allegations has now received complaints by two female lawyers against fellow lawyers. The complaints are being heard by a three member subcommittee, from within the 10 member panel set up as stipulated in clause 9(1) of the Sexual Harassment of Women at Supreme Court of India Regulations, 2013. One of the complainants (GSICC No 1/2013) has allowed video recording of her depositions while the other victim deferred such a procedure. Both the complaints refer to an episode which happened last year, though the details have yet not been specified. The internal complaints subcommittee has initiated the process of examination. The subcommittee has three members, senior advocates Indu Malhotra and L. Nageshwar Rao, both members of the 10-member committee, and Bharti Ali, co-director of an NGO, HAQ Centre for Child Rights, nominated by the CJI. This ten member panel consists of members nominated by the Supreme Court Bar Association and Supreme Court Clerks Association. The committee has been set up to fulfill the objectives as set out in the 2013 regulations. The complaints received by the committee have to be examined within 45 days. An aggrieved woman under the terms of the regulations is any female, of any age, whether employed or not, who claims to have been subjected to any act of sexual harassment by any person in the Supreme Court of India precincts but does not include any female who is already governed by the Supreme Court service regulation. If an advocate is found guilty, he would be barred from entering court premises for a period of one year or so depending upon the charges leveled. This panel has come out with an annual report as stipulated under Rule 7 of the Sexual Harassment of Women at Supreme Court of India Regulations, 2013. The report earmarks 5.2 Lakhs for achieving the goals of gender sensitization, increased awareness and counseling. Volunteers have been appointed who will undergo training and fulfill those objectives. Tracing the history of these regulations, one would observe that Vishakha Judgment catalyzed the law to tackle sexual harassment at work place and to protect the dignity of women.The new law on Sexual Harassment provides for the setting up of an internal complaints committee to handle such matters. 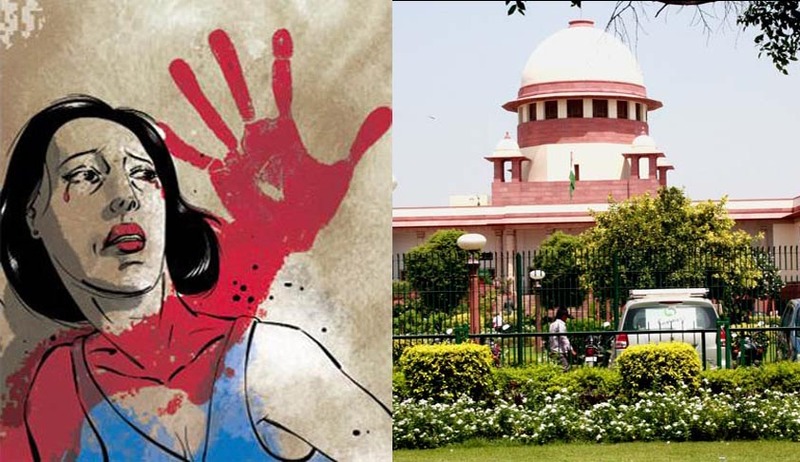 The case of Medha Kotwal Lele v. U.O.I provided that the dignity of women needed to be protected and instructed the Bar Associations and other statutory bodies to take up such grievances. Finally in the case of Binu Tamta and Others v High Court of Delhi, the Supreme Court formed a committee headed by Fali S Nariman to form regulations to combat problems of sexual harassment within the precincts of the Courts. These Regulations were approved on July, 2013 and the High Courts were instructed to form their own regulations. The protectionist vision of the Court as envisioned in Vishakha is gradually trickling down and has led to construction of a machinery to deal with this menace within the corridors of the Court itself.